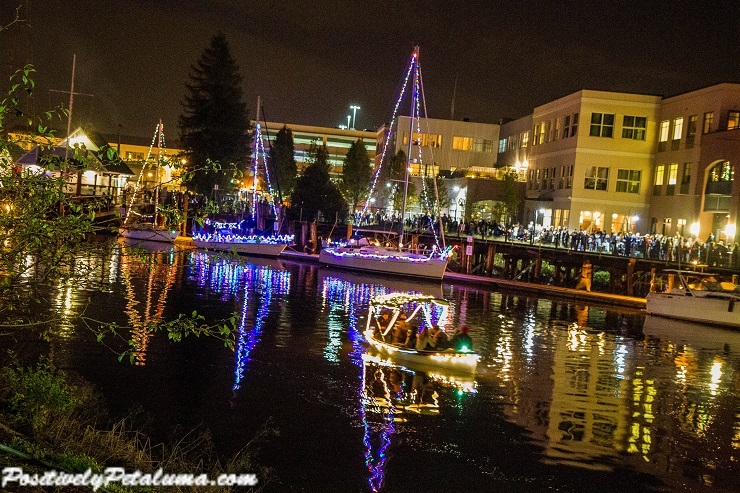 The Petaluma turning basin was surrounded by boat-parade fans even hours before the event started on Saturday, December 13, 2015. 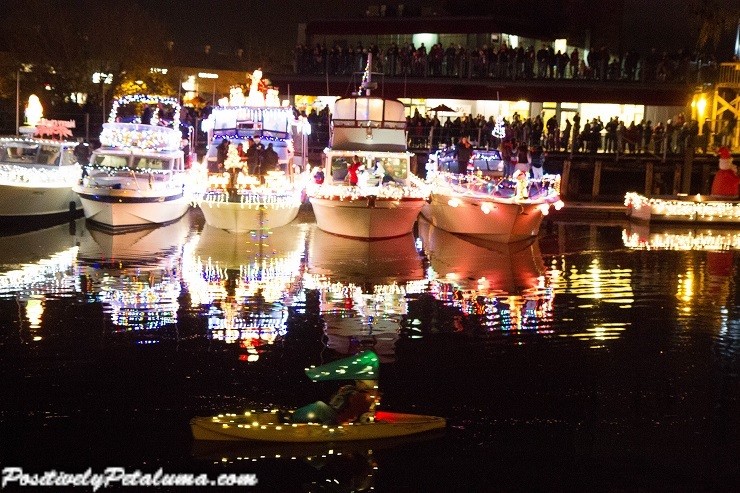 In anticipation of the lighted boat procession, eager children chanted “Santa, Santa…” with some awesome background music from the Kenilworth Junior High Jazz Band just outside the bustling Petaluma Taps. Yachts, sailboats, paddle boats and kayaks made their way into the turning basin a little after 6:30 PM giving a beautiful reflection off the Petaluma River.